we are releasing v46 today at our public site. now you can select normalized data on hic track, please be aware of that the loading would be a little bit slower than before as now there is much more data need to be loaded. we collaborated with Rob Mitra's lab for this new type of track. 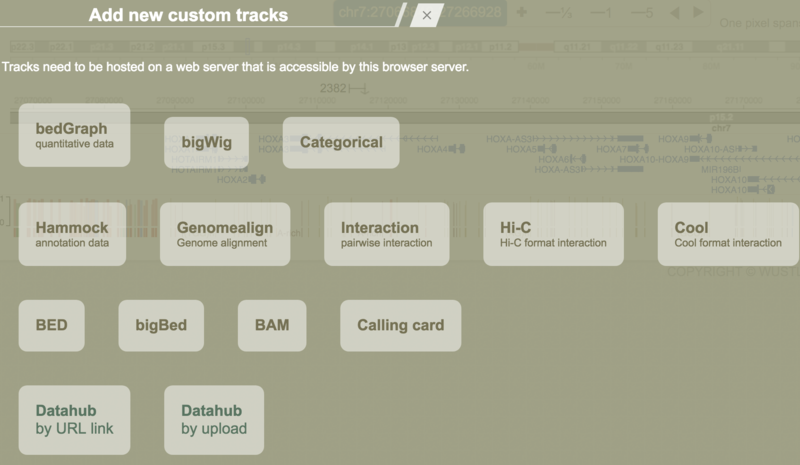 You can submit it through the custom track interface or data hub. Check for Calling card format details. This page was last modified on 9 March 2018, at 12:07.